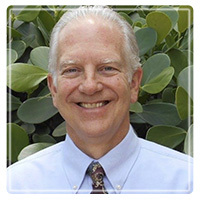 Boca Raton Therapist: Tom Lewis - Therapist 33432. Send A Message To Tom. Call 561-906-1497 and please leave message. It takes courage to tell someone you need some help, to go to therapy… even to just look for a therapist. If you've found my page on theravive.com, welcome to Lewis Counseling! Please take some time to review the information and be sure to visit my website. If you have any questions, write them down then contact me to schedule a free phone consultation. We can discuss your situation, answer your questions and then you can decide if you would like to schedule an appointment. I look forward to talking with you! Cognitive Behavioral Therapy (CBT) – Examining Thoughts, Feelings and Behaviors to initiate change. Solution-Focused Therapy – Where was I? Where am I Now? Where do I want to be? How to get there. Person-Centered Therapy – My Client comes first, thus we work together for solutions. I utilize a Person-Centered approach to therapy, which means that you, the Client comes first. After you tell me your story about what brings you to therapy, we will work together to discuss your particular situation, your perspective and understanding. Next you can examine what's working and what's not working. Finally I will help you decide what you want to keep doing and what you want to change. In other words where are you "now"? Where would you like to be? And how can you get there? You and I will develop a plan with realistic timeframes for you to achieve your goals. Please note that as a professional musician who started working in the counseling field by conducting music in recovery groups, I often utilize music in the therapy process.